Here are three effective educational tools we want to bring to your attention in today’s post. These are all platforms that you can use in your work as a teacher to create, organize and manage projects, collaborate with colleagues and friends on joint tasks, communicate with your team and keep track of what they are doing and many more. These tools are a great boost to your workflow and will definitely help you enhance your productivity. Also, these apps are available for multiple platforms so you can keep your work synchronized across various devices. Slack is an excellent realtime messaging and collaboration tool. You can use it to organize all your team communication in one single place. 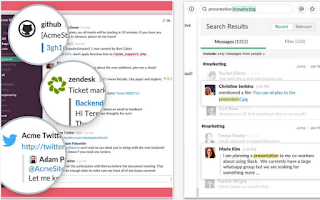 Slack allows you to create channels where you can communicate and collaborate with your colleagues. For instance, you can create a channel for a topic you are researching or for a project you are working on . After inviting your collaborators, you will be able to hold synchronous discussions, share materials and resources and view what everybody else is doing. Channels can be public or private. In private channels only designated members can join and see what’s going on in the channel. And instead of sending emails, you can use Slack's direct messaging feature to reach a colleague directly and privately. 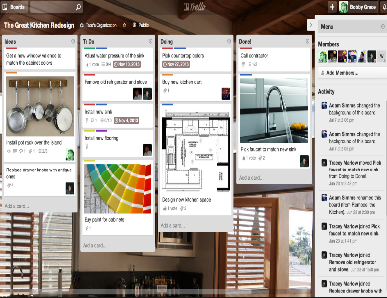 Trello is a great visual platform that allows you to organize and manage your projects the way you like. You can create and add as many projects as you want and then organize them on Trello’s visual board so you can easily keep track of everything you are working on. You can invite friends and colleagues to your boards and start working collaboratively. ‘Post comments for instant feedback. Upload files from your computer, Google Drive, Dropbox, Box, and OneDrive. Add checklists, labels, due dates, and more. Notifications make sure you always know when important stuff happens.’ Troll works across different devices (iOS, Android, Kindle Fire and the Web) and is supported by the four major browsers (IE, Chrome, Firefox, and Safari). This is another great application to help you enhance your workflow and increase your productivity. It allows you to create tasks, to-dos, and reminders and collaborate with your team on projects that matter to you. You can add due dates, assignees, followers and details to your tasks. You can also upload files and attachments to your tasks and share visuals directly to Asana from other apps. 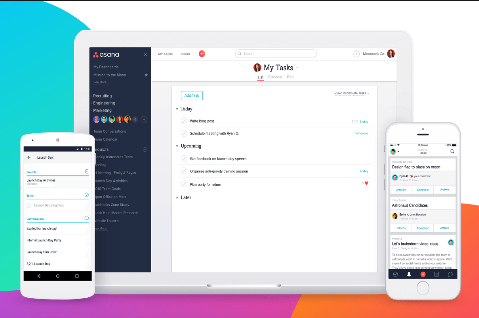 Additionally, Asana provides you with a variety of organizational features to help you arrange your tasks into projects and keep track of what your team is doing. You can send notifications when tasks are completed, search across all of your projects to quickly find data you need, comment on tasks, use conversations to make announcements to your team, ask questions in a project and many more.